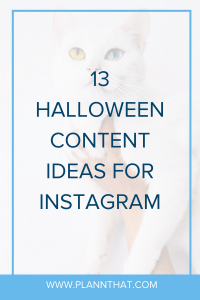 Don’t worry, this isn’t a trick, we are legit going to share with you some awesome Halloween content ideas for Instagram that’ll delight your audience! Halloween can be a fun and spooky time of year (depending on where you are in the world!) and although us Aussies don’t get much of the Halloween action, we’re definitely not going to pass up on an excuse to gorge on candy and horror movies. Keep on reading for 13 of our best Halloween content ideas that you can start preparing now so that you are totally plann’d up for the month of October. To kick off our list of Halloween content ideas, let’s talk fash-un! Got a pumpkin patch nearby? Jump into your favorite fall outfits and take one or a bunch of photos to create a Halloween lookbook for your audience. This is Halloween chic daaaaaarling. Want to take the cake for Halloween content ideas? Put together a spooky story using multiple Instagram graphics and post them in an Instagram carousel. This is a really fantastic idea if you are a writer, or you have a funny/interesting spooky story idea that you’d like to share with your audience. This type of Halloween content is interactive and really unique, you’re sure to win some brownie points (or should we say candy corn points?) with this one! If you’re not the biggest fan of Halloween (or if just don’t want to spook your audience too much!) you could post something Halloween themed that is a bit cutesy. This is the perfect Halloween content idea for you – search up this account in your Plann repost section and we’ll handle the rest. With the addition of music in Instagram Stories you can now put together a fun series of videos with background music to really delight your followers this halloween! It could be Halloween music, a tutorial or a video sped-up of you decorating your home for Halloween. Whatever it is, that layer of themed music will really help you to get the party started on the ‘gram. Love decorating for Halloween? We do too! Gather up some of your favorite Halloween home decor pieces and take some photos for your audience. This is one of the best Halloween content ideas if you are in the lifestyle/homewares niche. Are you a big movie buff? Share a series of covers from your favorite Halloween movies to your Instagram Stories and give your audience some fantastic recommendations! We can’t go past a freaky deaky makeup look on Halloween! Gather up some different pieces of inspo from your favorite artists (don’t forget to credit them in your caption!!) 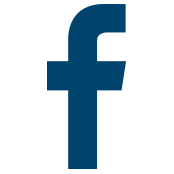 and share them in a carousel post with your audience. Whether it’s a Starbucks gift card so that your lucky winner can have endless spiced pumpkin lattes, or something a bit bigger, Halloween is a great time to run an Instagram giveaway! Because of the season you could have a fun entry method like leaving a comment with their favorite Halloween movie, or their quirky Halloween tradition. Get your followers excited and in the spirit with a spookily good giveaway this Halloween! Here’s one of the most delicious Halloween content ideas yet! There’s plenty of treats out there to re-gram this Halloween, or make this even more fun and share your Halloween candy stash on Instagram Stories! Is there a fellow business or blogger that you could collaborate to share halloween inspo with? 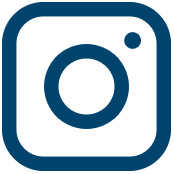 This time of year is perfect for sharing creative and unique content with another Instagrammer with a similar target market. You can swap content (be it stories or grid content!) and post it on each other’s behalf with a link back to their account. This way you can share followers and make Halloween extra fun with some new internet friends! Rather than sharing your own Halloween costume (I mean, you can if you want!) something that might be fun is sharing funny dog/cat halloween costumes. Looking for Halloween content ideas but need something you can achieve QUICKLY?! Whip a Halloween quote into a graphic or use it as a caption for any photo! Got some cute throwback photos from when you were a kid at Halloween? Why not add a cute Plann filter (they’re freeeee) and post it to the ‘gram! Well spooky dooky! We have already made it through all 13 Halloween content ideas for Instagram. Are you getting excited? We sure are. I have to admit, I am mostly excited for the Reese’s peanut butter cups, if you need me i’ll be in the corner nomming away!